If I could describe this color palette in two words, I would say it’s Coastal Casual. 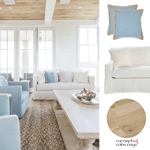 The combination of tan and blue is a classic for coastal color schemes and fits perfectly in this beach house interior. I just want to kick off my flip flops and snuggle into that cozy sofa with an cold iced tea. 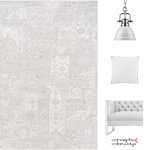 The crispness of the white shiplap walls pair beautifully with the textured rug in a warm sand color. But, it’s the sky blue accents that really have me drooling. 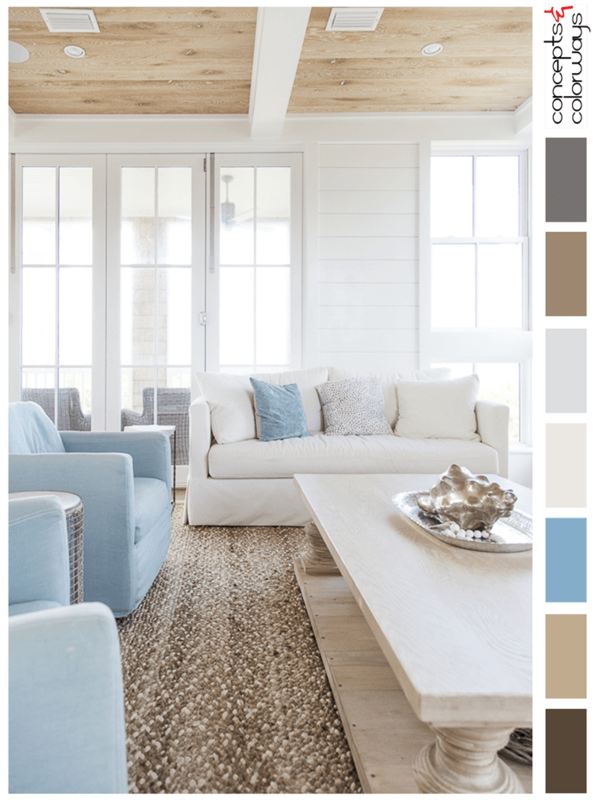 They add a refreshing pop of color against the neutrals that are just perfect for coastal living rooms like this. Then, just when you think it can’t get any better, along comes the palest of sun bleached wood in the coffee table. It’s heavenly. And, let’s not forget the gorgeous wood ceiling panels in a lovely light tan finish. They contrast beautifully with the white ceiling beams, don’t you think? It really is the color palette that makes this room so amazing. 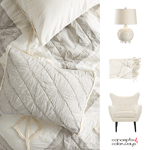 The base of white is accented perfectly with dark bronze, warm sand, light blue, ivory, light gray and light brown. 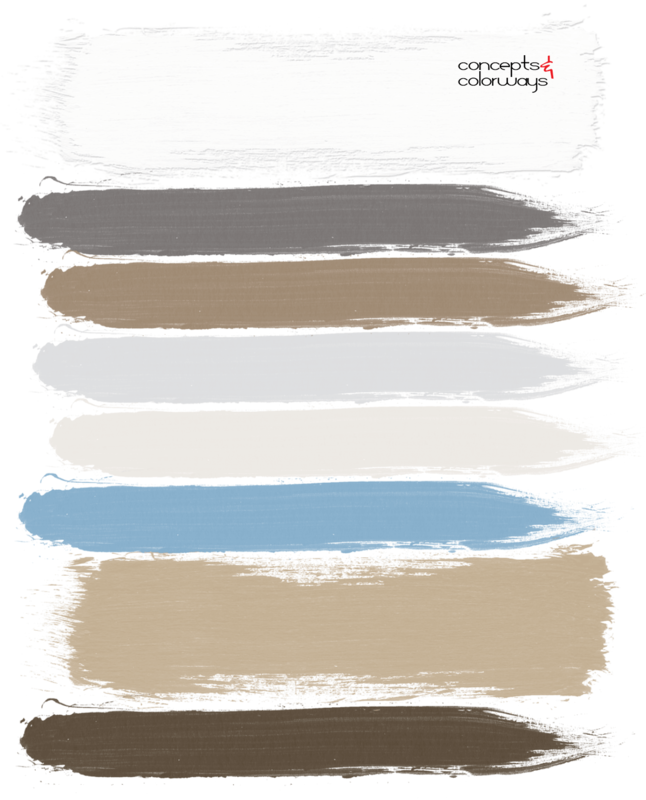 If you like the Coastal Casual color palette, you might also like my Warm Sand, Stone Gray and Coconut Milk product roundups. 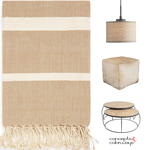 My Tan and Blue Color Palette for Coastal Living Rooms look also coordinates with this palette.